Competitive Grants are awarded to 501(c)(3) not-for-profit organizations and 170(c)(1) governmental units serving Middlesex County towns. Grant proposals should address a need within identified Focus Areas and demonstrate a positive impact on the organization, project, community or persons served. 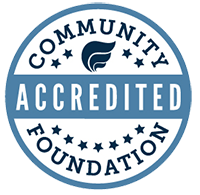 Community Foundation grants typically range from a minimum of $500 to a high of $5,000, with the majority of grants in the $1,500 to $3,500 range. The Community Foundation does not explicitly prohibit previous grant recipients from applying for the same program in the current funding cycle; subsequent funding will be considered by the Grants Committee, but is not guaranteed. Normally, the Community Foundation will not award grants to endowments, capital campaigns, building programs nor to fund debt reduction or lobbying. Grants will not be made to individuals or to political organizations and campaigns. A grant evaluation form must be submitted for all competitive grants awarded. Nonprofits considering submitting an application for the current grant cycle need to insure all prior grant evaluations have been submitted. Forms are available online. The Competitive Grant Application Cycle opens annually in July and applications are due mid-September. Grant Applications will be available under Forms & PR Guidelines. If you are unsure of your grant evaluation status or if your program or project is incomplete and you have questions regarding your grant evaluation, email or call Thayer Talbott, Vice President, Programs & Operations, at 860.347.0025.